A Chinese farmer who dared a local environment official to swim in his province’s polluted rivers has been badly beaten in an attack his family says was linked to his activism. Workers in the eastern Chinese province of Zhejiang have hit out at excessive fees and fines heaped upon ordinary people by local officials, after the city was rocked by rioting over tax increases this week. Textile workers in Zhejiang’s Huzhou city took to the streets, torching cars and smashing government buildings, after the government announced a rise in local taxes. SHANGHAI(AFP) — Thousands of taxi drivers in China’s eastern city of Hangzhou went on strike Monday over high petrol prices and traffic congestion, while drivers in Shanghai also protested over benefits. In Hangzhou, drivers parked their cars at several locations in the city, a major tourist centre, while others simply stayed on the road and refused to take passengers, state media and taxi company officials said. Authorities in the eastern Chinese province of Zhejiang have detained prominent blogger Guo Weidong, known by his online nickname “Daxa,” his wife said Friday. The move comes amid an ongoing crackdown on political activists and petitioners following calls for a fourth day of “Jasmine” protests in major Chinese cities. BEIJING — Police in eastern China on Thursday quashed an arrest order for a fugitive graft-busting journalist following a public outcry, in an apparent rare victory for media freedom. Qiu Ziming had become a cause celebre after his investigative reports on alleged improprieties by a listed company landed him in a nationwide police most-wanted database on suspicion of slander. Qiu, 28, a reporter with the Economic Observer financial weekly, has been on the run for days after police in Zhejiang province put out an arrest notice. But in a sudden about-face, the Zhejiang government said Thursday that police in the province’s Suichang county who initiated the arrest order had been told to rescind it. “The (provincial) Public Security Bureau has ordered the Suichang Public Security Bureau to withdraw the Qiu Ziming criminal detention decision and apologise to him,” a notice on the provincial news website said. It said the detention order “did not meet statutory requirements”. Qiu, who is based in the Economic Observer’s Shanghai bureau, published reports in June detailing alleged improprieties such as insider trading by a major battery manufacturer based in Zhejiang. The company, Kan Specialties Material Corporation, based in Suichang and listed on the stock exchange of Shenzhen in southern China, has denied the charges and accused Qiu of slander, initiating the police action. But Qiu has continued to defend his innocence and demand justice in defiant entries on his Weibo account, a Twitter-like service offered by leading portal Sina.com. “What I reported is the truth,” Qiu said in an entry Wednesday, adding that he had “iron-clad” evidence of the company’s wrongdoing and did not fear police. “This is not over. I will get an apology from the Suichang police,” he said. China’s media is tightly controlled but gradually becoming more aggressive in exposing corporate and official malfeasance. However, particularly bold reporters who offend powerful forces risk being muzzled or even jailed. Since going on the run several days ago, Qiu has garnered broad support on the Internet, with his Weibo account gaining 8,000 “followers” and his case generating sympathetic media coverage. An online poll organised by Sina.com, which drew more than 33,000 responses, found that 86 percent of users viewed the police pursuit of Qiu as “unlawful” and that 98 percent trusted his reports on Kan Specialties. The Economic Observer — an independent weekly newspaper considered one of the most respected financial publications in China — last month put out a bold statement defending Qiu and criticising authorities. “We strongly condemn the use of public power to suppress and threaten the personal safety of media professionals,” it said. Chinese Internet users have become a potent force in exposing official abuses and pressuring authorities to back down from some unpopular decisions. A CHINESE airport was dramatically shut down after baffled air traffic controllers spotted an incoming UFO on their radar systems. Planes were grounded and flights were diverted away from Xiaoshan airport in Hangzhou City, in the country’s east, after the mysterious glowing object appeared on monitoring instruments late Wednesday night, the Shanghai Daily reported. In a further twist, the closure followed several supposed sightings of a strange airborne object across the city, with locals reportedly seeing a comet-like fireball in the sky. Airport authorities immediately notified passengers to stop boarding and grounded all planes about to take off as flights were rerouted to neighboring airports in the cities of Ningbo and Wuxi, Xinhua news agency said. The unexplained object soon vanished from radar screens but flights were delayed from taking off for a further four hours. HONG KONG—Authorities in the southwestern Chinese province of Guizhou have detained an activist who applied to hold a symposium on World Human Rights Day next week, one year after Chinese democracy activists signed a charter calling for political reform, his relatives said. Guizhou police are believed to have detained Chen Xi, organizer of the human rights symposium, after escorting him away from his home, his wife said. Chen had still not returned home late Monday. “He has not yet come back and I don’t know his whereabouts,” his wife said. “This is definitely related to World Human Rights Day,” she said. Fellow activist Li Renke said police had told the symposium organizers that they would have to apply to register the event, and that it couldn’t go ahead. “I told them that there was no law requesting a symposium to be registered, and there was no such thing as a pre-registered symposium either,” Li said. Police in Zhejiang also stepped up surveillance of activists ahead of World Human Rights Day. Zhejiang-based activist Zhu Yufu said police were sitting outside his house, carrying out round-the-clock surveillance. On November 6, 2009, in a closed trial, a local court in Zhejiang Province sentenced a 70-year-old petitioner, Lin Dagang (林大刚), to two years in prison for illegally possessing state secrets – namely, a document issued by the Ministry of Housing and Urban-Rural Development (formerly the Ministry of Construction) that in fact had been circulating on the Internet. Lin has been a long-time petitioner and core member of a nationwide group seeking the return of ancestral houses that the government took possession of in 1956. Lin’s wife, Wang Yuyan (王玉燕), and son, Lin Feng (林峰), told Human Rights in China (HRIC) that the trial in the Jiaojiang District People’s Court in Taizhou lasted about two hours. They were not permitted to attend. They said they waited with other petitioners outside the courtroom and heard Lin vigorously defending himself. According to one of Lin’s lawyers, the judge announced the ruling and sentence orally, and the court will issue a written decision within five days. Lin is a core member of the Nationwide Property Owners of State-maintained Rental Houses (全国经租房业主), a group seeking the return of what is known as “state-maintained rental houses” (经租房). In 1956, as part of what it called the “socialist transformation” of the country, the Chinese government took over privately-owned houses and began renting them out, giving the original owners 20-40 percent of the rent as compensation. The government stopped paying the owners in 1966, the year the Cultural Revolution began. Since the late 1970s, owners of those houses have been asking for their properties back and have met with resistance. Lin was first detained on June 11, 2009. The authorities accused him of illegally possessing the “Notice Regarding the Appropriate Handling of ‘State-Maintained Rental Houses,’” a 2006 directive from the Ministry of Housing and Urban-Rural Development instructing the relevant local and provincial government bureaus to keep these houses as state properties, and to “intensify” the monitoring of petitioners, particularly those organized in groups, so that they can be “controlled.” The directive also states that without permission by the Ministry of Construction and the Party’s Central Propaganda Department, reporting and any interviews on issues relating to the “state-maintained rental houses” are forbidden. A UN official and those accompanying him were taken into police custody in Jianggan District of Hangzhou City, Zhejiang Province on the morning of Aug. 20, according to several Chinese media reports. The convener for the United Nations Advisory Group on Forced Evictions, Yves Cabannes, went to the Hangzhou East Rail Station construction area after an international conference in the same city. 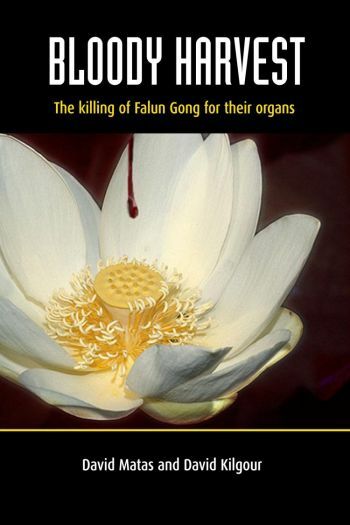 With him were Eva Pils, an associate professor at the Chinese University of Hong Kong’s Faculty of Law, and either two or three Hong Kong university students—Radio Free Asia (RFA) reported two students while Voice of America (VOA) reported three, in their Chinese reports. The group was investigating reports that more than 20 people were forced out of their homes in the area. The alleged evictees were reported to have been petitioning and protesting since evictions and demolition began, and said they were beaten for their trouble. There are conflicting reports about how police handled the incident. RFA reported that the group was held in police custody until late in the afternoon, while VOA reported staff at the Hangzhou Foreign Affairs Office saying that the whole procedure was less than two or three hours. “All of what we did followed proper procedure,” said an unidentified staff member of the Foreign Affairs Office, according to VOA. “The police officers just saw a few foreign individuals taking photos and went ahead to question them and asked for their ID. According to our Documents Management Act, this is a necessary procedure. “One of them was without ID and two others refused to show their IDs. According to our law, they were obligated to display their IDs to police—this is the norm inside and outside of China. Therefore, the police officers asked them to go to the local police station to explain and show their IDs,” VOA reported the staff member saying. In a statement sent to VOA from the Chinese University of Hong Kong, Pils said that she was travelling with a foreign professor who had left his passport in his hotel, and that he was taken to the local police station to be identified. Pils accompanied him to the police station, and she said the problem was solved as soon as he was identified, according to the VOA report. Part of the statement attributed to Pils contradicted earlier parts of the report, however, as she said that no students were with them. The Hangzhou municipal government has been accused of collaborating with developers, and using the expansion of the East Railway Station as an excuse for grabbing land, according to the VOA report. A British scrap-metals company has accused Chinese customers of kidnapping its chief trader for a $350,000 (£212,000) ransom in a case highlighting the challenges of doing business in China. Goldarrow Metalssays that Anil Srivastav was seized from a Shanghai airport this month and held for days at a small hotel in the eastern port city of Ningbo. The company says it was forced to send shipping documents worth $350,000 to Ningbo Yibao Import and Export to secure Mr Srivastav’s freedom after local police and British consular officials refused to intervene. The spat comes as slumping commodity prices are said to have left thousands of tonnes of imported copper and aluminium scrap sitting in Chinese ports after companies defaulted on deals. Goldarrow says Mr Srivastav went to Ningbo this month to seek $1.2m it was due from Ningbo Yibao and associate companies. It alleges that James Xu, a Ningbo Yibao trader, told him instead that he could not leave until Goldarrow paid compensation for quality problems with a previousshipment. Mr Xu denied any involvement in holding Mr Srivastav against his will and said his only role had been as a friend of the boss of another company, Ningbo Guanghe Metal Recycling, known as Guanghe. Ningbo Yibao said it had no knowledge of the transaction. However, contacted by telephone, Mr Xu acknowledged that Ningbo Yibao had received the $350,000 in shipping documents sent by Goldarrow ahead of Mr Srivastav’s return to the UK. The documents had been subsequently transferred to Guanghe, said Mr Xu. The head of Guanghe, who gave his name only as Meng, said company staff found Mr Srivastav at a Shanghai airport on October 17 and asked him to return to Ningbo. Mr Meng said Mr Srivastav was then taken to a police station because Guanghe believed that he was guilty of fraud. He denied holding Mr Srivastav against his will and said that after the business dispute was resolved, he was sent off with gifts on October 21. A spokesman for the UK embassy in Beijing said it had decided not to get involved after concluding that it was a business dispute. Ningbo city police confirmed that they had been involved in a case involving Guanghe and a foreigner, but declined to give details. HONG KONG—Hundreds of residents of island villages in the eastern Chinese province of Zhejiang are staging a sit-in at the construction site of a planned U.S. $160 million international container terminal in a bid to win compensation for lost access to the shore. The protesters, who say they make a living from the beach by collecting shellfish and launching their fishing boats there, are from Zhuangyuanao village, Dongtou island, near the eastern coastal city of Wenzhou. “We have been here since Oct. 20,” a resident at the protest scene surnamed Zhuang said. “They have surrounded us on all sides, and now we have no way to make a living. We are staying here until we get some compensation from them. Right now there are 500 to 600 people here,” he said. The Dongtou islanders, who were displaying placards showing how long the sit-in had gone on, vowed to remain at the site until the government sends representatives to talk to them. The protesters are sitting in on land intended for use in the construction of the planned 1.096 billion yuan (U.S. $160 million) Zhuangyuanao Deepwater Port. Phases I, II, and III of the project were planned in 2004 on a total area of 4,570 mu (761 hectares) of land and shoreline adjacent to Zhuangyuanao and other villages. The villagers say they first began to demand compensation from the government in 2006, but the authorities said that shoreline is public land, and that no compensation was required. But the villagers said their homes are right on the beach, which is an important source of income for them and a space where they can work. Calls to deputy Communist Party secretary Dong of Dongtou county were cut off Wednesday when the person who answered hung up. The village Party branch secretary said: “I don’t know.” Pressed further, he hung up. Work began in 2005 on the Zhuangyuanao Deepwater Port, which local officials hope will transform Wenzhou from a river port to a fully competitive seaport. The Phase I project alone has a planned annual capacity of 200,000 containers and 700,000 tonnes of bulk cargo. BEIJING (Reuters) – Residents of a pollution-plagued Chinese city are mobilizing against a proposed chemical plant they fear will menace their health, with some urging marches against the scheme they say puts growth before the environment. The plant proposed for Taizhou on the coast of east China’s Zhejiang province would make paraxylene (PX), a petrochemical used in polyester. Last year, protests against a PX plant planned for another coastal city, Xiamen, led to officials shelving it. Now Taizhou residents, dismayed at the prospect of another chemical plant in an area already crowded with them, are threatening to re-enact those protests — and again bring into focus China’s struggle to balance growth with growing public anger over pollution and environmental threats. China’s leaders have vowed to create a more “harmonious society” with cleaner air and water, even at the cost of slower economic growth. But this dispute threatens to become another battle pitting citizens against local officials whose priority often remains attracting fresh investment and revenue. Internet messages also urge residents to send around text messages organizing mass “strolls” against the project. Coastal Taizhou is a hub of chemical production and the big plant would be a feather in the cap for local officials. “This is a rare historic opportunity, and a big project to enrich the people of Taizhou,” stated an official news report in April (http://tz.zj.gov.cn) that announced the plan. BEIJING (Reuters) – At least 10 people were killed and 36 injured on Thursday when a Chinese sleeper bus crashed inside a tunnel, Xinhua news agency said. The 44-sleeper bus was carrying 46 people when it crashed in Lishui, in eastern Zhejiang province, shortly after midnight, killing 10 people on the spot. China’s roads are the deadliest in the world, with accidents killing about 100,000 people a year. Mr. Zhang, a handicapped citizen in Southeast China’s Hangzhou city, has made up his mind to lead a beggar’s life. He was illegally forced into eviction by the local government in 2007 and is now protesting outside the local government office. Because he lived in the famous historical heritage area of Wushan scenic district, Zhang used to have a steady income and made a fairly good living. For more than 1,000 years, Hangzhou city has been a famous tourist attraction. Most residents here rely on their inherited stores to make a living and many do okay. But many others, like Zhang, were thrown into poverty because of an eviction order from the local Shangcheng District Government. Before the evictions, local residents argued with the government based on two previous municipal policies issued in 2002 and 2004 respectively that defined the area as historical heritage block — meaning it could only be renovated but not torn down. Buildings could be privately-owned but had to maintain the original historical ethos and traditional cultural style. But Shangcheng District Government paid no respect to that document. Zhu Yangdi, another local resident, told The Epoch Times that his family had been living in the city for more than a hundred years, and she and his brother operated teahouses to make a living after being laid off from state owned enterprises. The Zhu family’s “Big Bowl Tea” used to have a bit of a reputation in the area. But now, seven of the nine teahouses run by the authority occupy the land once used by the Zhu family. Many other local residents have had a similar experience. After the local regime drove them out, they rented the land to other businesses to open new stores. Local residents have appealed numerous times in the past year, and for this they were arrested, harassed and beaten. There is currently no indication that their poverty-stricken existence will end any time soon. New York, January 22, 2008— The Committee to Protect Journalists condemns the one-day closed-door trial of imprisoned journalist Lü Gengsong that took place today in Hangzhou, southeast China, and calls on the Chinese government to release him and all journalists held under vague “national security” laws before the 2008 Olympics. Lü’s wife Wang Xue’e told CPJ that Beijing-based lawyers Mo Shaoping and Ding Xikui defended Lü against the charges of “inciting subversion of state authority” today during his three-hour trial, which only his family and two close friends were allowed to attend. Lü’s sentence is expected to be announced within a month, Wang said. His lawyers could not be reached for comment. The freelance journalist has been held in a detention center and denied family visits since his arrest on August 24, 2007, Wang said. Lü, who is also a political activist, had written several articles for overseas Web sites and reported on the trial of a human rights defender the day before he was arrested. Spectators excluded from the court gathered outside to follow the proceedings, Wang said. Article 19 of the U.N. International Covenant on Civil and Political Rights allows that freedom of expression be restricted for the protection of national security, but only in cases that are necessary and demonstrably “provided by law.” China signed the covenant two months before announcing its Olympic bid in 2001. The majority of the 29 journalists imprisoned in China were jailed on charges that relate to national security, including subversion of state power, leaking state secrets, and espionage, according to CPJ research. Most of these cases were brought against writers who publish online, where content is harder to censor than in conventional media. Reporters Without Borders today repeated its appeal for the release of cyber-dissident Zhang Jianhong, pen-name Li Hong, so he can be taken to hospital and treated appropriately for his illness. The Chinese authorities on 2 January 2008 rejected the cyber-dissident’s second request for his release. “The Chinese authorities have for more than seven months remained unmoved by the request from Li Hong to be allowed to get treatment in hospital,” the worldwide press freedom organisation said. He is suffering from muscular dystrophy and his health has been seriously deteriorating since August 2007. He is in danger of being left paralysed. Prison authorities at Zhejiang jail told his wife, Dong Min, in a letter that Li Hong, “is receiving appropriate treatment in the prison hospital”. Li was sentenced on 19 March 2007 to six years in prison by a court in Ningpo, Zhejiang province in south-eastern China after he was convicted of writing “articles defaming the Chinese government and calling for agitation to overthrow the government”. He in 2005 founded the literary website Aiqinhai.org and regularly posted articles on the Weilai Zhongguo forum and on foreign-based Chinese websites. The release of a sick prisoner depends on his pathology, the treatment he should receive and an assessment of the situation by prison officials. They have said they will not undertake a further medical examination as Dong Min had asked. Li’s lawyer, Li Jianqiang received a letter in June 2007 in which his client described his state of health: “My illness is extremely rare. There is currently no effective medication or treatment. My health has worsened this last month and my muscles are atrophying. I can hardly move my arms any more and this will extend to my legs. If it goes on, I will suffer the terrible experience of being completely paralysed like the British physicist, Stephen Hawking”. BEIJING (AFP) — China has formally arrested writer and cyber-dissident Lu Gengsong, a former lecturer turned activist, on suspicion of subverting state power, his wife said Monday. Lu’s wife, 51, Wang Xue’e received the arrest warrant early Sunday, she told AFP from her home in the eastern Chinese city of Hangzhou. Lu was picked up at his home in August, in what rights groups said was part of a crackdown ahead of this month’s Communist Party five-yearly Congress and the 2008 Beijing Olympics. Lu, a 51-year-old freelance writer, has published extensively on graft, including the book “Corrupted Officials in China,” which appeared in Hong Kong in 2000. “He disclosed lots of illegal eviction cases related to provincial and city officials who colluded with real estate developers,” said Wang. Evictions have emerged as one of the main social issues in modern China, as land developers and home owners battle it out over ever scarcer land resources. 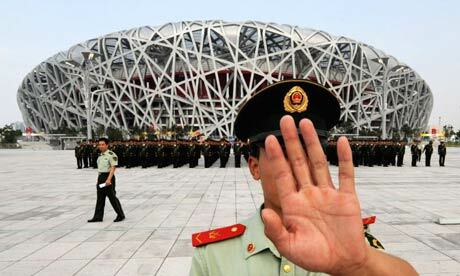 Despite China’s pledge to ease curbs on media and individual freedoms ahead of the 2008 Olympics, human and media rights groups say the leaders in Beijing continue to tighten their crackdown on dissent amid increasing social unrest. Paris-based Reporters Without Borders said in a report in August that at least 30 journalists and 50 cyber-dissidents were being detained in China for work that angered Chinese authorities. New York, August 16, 2007— CPJ sent a letter today to Chinese President Hu Jintao about the deteriorating health of writer Zhang Jianhong, calling for his immediate and unconditional release on humanitarian grounds. The Committee to Protect for Journalists (CPJ) is deeply concerned about the deteriorating health of writer Zhang Jianhong and calls for his immediate and unconditional release on humanitarian grounds. Zhang has been diagnosed with a rare nerve disorder that could lead to permanent paralysis if left untreated. His numerous appeals to judicial authorities in Zhejiang province seeking release on medical parole have been ignored, according to both his wife and lawyer. Zhang, also known by his pen name, Li Hong, was arrested on September 6, 2006, just days after posting an essay online about China’s human rights record and, in particular, the poor treatment of journalists and their sources in the run-up to the 2008 Olympic games. In March 2007, the Ningbo Intermediate People’s Court, in the eastern province of Zhejiang, convicted him of “inciting subversion of state authority” and sentenced him to a six-year jail term followed by one year’s deprivation of political rights. Zhang’s lawyer, Li Jianqiang, told CPJ that he received the letter on August 3, though it was dated June 11. It was the last time he heard from his client. Zhang’s wife, Dong Min, told CPJ that she has been barred from contacting her husband since June 26, when he was transferred from the Chenghu Prison, in Huzhou City, Zhejiang, to a detention center in Ningbo, also in Zhejiang province. Zhang is believed to be held currently at the Ningbo detention center, however neither his wife nor his lawyer have been able to visit or speak to him there. As an international organization of journalists dedicated to the defense of our colleagues around the world, CPJ requests that you to use your good offices to ensure Zhang’s immediate release on humanitarian grounds. We respectfully remind you that your government is responsible for his welfare and must ensure that he receives the urgent medical attention he requires. CPJ believes that Zhang should never have been jailed in the first place, as the use of national security charges to inhibit the peaceful expression of political views contravenes the international standards set forth by the International Covenant on Civil and Political Rights, which China has signed but not yet ratified. Your government signed the Covenant in October 1998, less than two months before Beijing announced its plan to bid for the 2008 Olympic Games, in an apparent attempt to address international concerns about China’s human rights record. Article 19 of the Covenant guarantees all people the right to freedom of expression, including “freedom to seek, receive, and impart information and ideas of all kinds, regardless of frontiers.” Yet China persists in its attempts to restrict the free flow of information and ideas, through outright censorship, bureaucratic media restrictions, and by jailing journalists perceived as critics of the government. On August 15, official news outlets announced a new campaign to tighten control over the domestic media, ostensibly aimed at “false news reports, unauthorized publications, and bogus journalists” but actually casting a much wider net, including “newspapers and magazines illegally published in China using overseas registration … newspapers and magazines imported from overseas without authorization, illegal foreign language newspapers aimed at foreigners living in China, illegal political newspapers and magazines that fabricate political rumors … and illegal military newspapers and magazines that leak state secrets,” according to Liu Binjie, director of the General Administration of Press and Publication, as reported by The Associated Press. China also holds the world record as the leading jailer of journalists, with 29 currently imprisoned, according to CPJ research. This dubious distinction does great damage to China’s reputation as the country seeks to improve its image one year before the Beijing Olympics. CPJ calls for the release of all journalists currently imprisoned in China. Freeing Zhang on humanitarian grounds would be a first step toward improving China’s record at this critical juncture. Ancient Chinese science and technology were very advanced. The Ancient Chinese knew more about science and technology than any other culture. For instance, the yin-yang fish bowl that is part of the collection of the Hangzhou Museum in China’s Zhejiang Province cannot be explained by modern science nor replicated by modern technology. It remains a mystery to the world. Among the collections of the Hangzhou Museum, there is a bronze spouting bowl named the “Yin-Yang Fish Bowl.” The bowl, which is about the size of a washbasin, has two handles and a decoration of four fish at the bottom. There are four clear parabolas drawn between the fish, just as those described in the Yi Jing (The Book of Changes). If you fill the bowl half-full of water and rub the handles with your palms, instantly the water in the bowl will tumble and the vibration will cause water to spout four two-foot-tall fountains from the mouth of each fish on the wall of the bowl. Moreover, the bowl will make the same sound as chanting the ancient divination words in the Yi Jing. Physicists from the U.S. and Japan have used all kinds of modern scientific instruments to examine and investigate the bowl trying to find out its construction principles of heat conductivity, sensoring, self-propelling, and spraying and making sound, but have not succeeded. In October 1986, a replica bronze spouting bowl was made in the U.S. It looked identical to the yin-yang fish bowl but was a failure, as it could not function properly: It could not spout water, and the sound it made was very dull. Modern science can only lament its insignificance before the miracles created by ancient Chinese technology and treat it as an unsolved mystery. What were the principles upon which ancient people made the bronze fish bowl? As developed as it is today, why can’t modern science and technology make a replica of a bronze ware bowl made by people in ancient times? According to experts’ analysis, modern science is analytical science. Characterized by high accuracy and strict quantification, it has reached the level of micro quantum technology. The so-called “Nami Technology” may very well represent the achievements of today’s high-tech. Yet modern science has a fatal weakness: linearism. Linear science still dominates today’s modern science and continues to apply a simplified approach to natural phenomena as always. The real world and Mother Nature do not conform to linear principles, but in most cases non-linear theory instead. Modern science and technology are nothing but man-made simplification against the truth of Mother Nature. Fountains of water that are similar to those in the bronze spouting fish bowl are called “solitary wave” or soliton phenomena. Different from ordinary waves, solitary waves do not disperse when occurring, and therefore can last a long time. The existence of solitary waves is a non-linear phenomenon. Thus the construction principles of the yin-yang fish bowl are far beyond the scope of modern science, and it is therefore impossible for modern technology to replicate. At 6:40 am. on August 9, 2007, the Zhuantang Town Government in Hangzhou City, Zhejiang Province, sent out about one thousand armed police, city officials and police to demolish Ms. Ye Jindi’s four-story house located at No. 27-2, Dazhuqiao Village while she, her husband and child were at the hospital. During the interview, the reporter could hear the backhoe making loud noises tearing down the house. The authorities tried to stop people from taking pictures and videotaping. They blocked the traffic to Ms. Ye’s house and drove out all the bystanders. At 5.30 pm when Ms. Ye Jindi returned from the hospital, she broke down and cried as soon as she saw her house had been demolished. She went into a state of shock and had to be taken to the hospital for emergency treatment. Zhou said the officials colluded with developers. The government monopolises the resources for a few privileged people and they only look after each other’s interest. Through administrative power, the government is able to take farmers’ properties – their only means of a basic survival. Now the government has taken away Ms. Ye’s only house as well. In 2003, the Zhuantang Town government used the excuse to convert the land for constructing a major road. They then applied for approval to build expensive villas along the road. To maximize profit, the authorities forged the official announcement and levied a lot of lands from farmers. The local residents were very angry with the illegal land requisition. Under pressure of public opinion and media, on July 28, 2004, the law executive branch of the Zhejiang Domestic Land Resource ordered a stop to the road contruction project and promised to look into the case. Nothing has been done as of yet. The reporter called the Director of the Law Executive Bureau of the Zhejiang Domestic Land Resource and inquired about the incident. The Director said to the reporter, “You can come over to our office, we will have detailed information for you. As far as I know, the demolition is legal.” The Head and Deputy Head of Zhuantang Town, Wu Xiangqian and Wang Guangen, refused to take calls from the reporter. All photos are from Chinese version of this report by the Epochtimes, video of demolishing is also available on the same webpage. Recent climate anomalies in China has caused ceaseless droughts in some areas and continuous floods in other places. Experts have pointed out that the global greenhouse effect and other human factors were the main reasons for the disasters. Continuous droughts and high temperatures have been afflicting many areas including Hunan, Jiangxi, Heilongjiang, Inner Mongolia, Zhejiang, Xinjiang, Fujian provinces and Shanghai City, with Jiangxi and Hunan being the hardest hit. The drought in the mid-eastern part of Inner Mongolia has lasted a long time, and the situation keeps worsening. According to the latest official figures, this year 23 million acres of cultivated area suffered from the droughts, which is 2.7 million acres higher than average. The droughts affected 21.7 million acres of crops, among which 7.8 million acres are severely affected, and 1.4 million acres completely withered. The drought has also caused a fresh water shortage for 5.88 million people and 4.7 million cattle. Since this summer, heavy rainfalls have caused floods in many parts of China, especially in Chongqing City as well as Sichuan, Guizhou, Xinjiang, Guangxi and Hubei provinces. So far the flood has killed nearly 700 people, affected 120 million, and caused US$7 billion economic losses. Jiangxi is experiencing the worst drought in 50 years, with 1.06 million people facing a drinking water shortage, and 1.3 million acres of crops affected by the drought. The drought is still worsening, and is spreading quickly from the middle to the rest of the province. According to latest figures, from April 1 to July 30 this year, the average rainfalls in Jiangxi is 594 mm, 32 percent below that in the same period of past years, and 20 percent blow that in the same period of 2003. In Hunan Province the drought has continued for four weeks, which omens a dry autumn. Several million people are facing a drinking water crisis. Rainfall is down by 25 percent compared to previous years, leaving half of the two million water reservoir facilities empty. According to the Hunan Meteorological Bureau’s forecast, the temperate will reach up to 40° C (104° F) in most of August. Since June, high temperatures and low rainfall have affected the northeast Heilongjiang and some other areas in the province. The provincial Sanjiang Plain area is afflicted by a summer drought, which has not occurred in that area for many years. Some areas experienced over 40 continuous rainless days. A lot of farmlands are covered with a 30-centimeter (11.8 inches) deep layer of dry soil. In Fuzhou, capital city of Fujian Province, high temperature as lasted for 31 days by July 30, the longest period since the city’s first official weather record was made in 1880. In many other parts of Fujian, hot weather has also lasted for 26 to 35 days. In Zhejiang the continuous hot weather has lead to water shortages in many places and the situation is becoming more serious. Recently Shanghai has suffered continuous hot days with temperature as high as 39° C (102° F) or even higher. According to a meteorological department report, Shanghai’s temperature peeked at 39.6° C (103° F) on July 29. The last time Shanghai had the same temperature was on July 25, 2003, and it broke a 63 years’ record. So far nearly 700 people have died as a result of the flood, lightning and mudslides across China. The flood has affected up to 120 million people with economic losses amounting to $7 billion. Chongqing City recently was hit by the heaviest rainfalls in the century. Millions of people were affected and nearly 100 were killed or missing. The losses reached 2.978 billion yuan ($0.39 billion). Guangxi Province was also hit by continuous torrential rainfalls, resulting in mountain torrents and river flooding which affected 8.3 million people and caused a direct economic loss of 9.84 million yuan ($1.3 million). From July 27 to 31, heavy rains hit Sanmenxia City of Henan Province, the south part of Shanxi Province, middle southern parts of Shannxi Province. Serious rainstorms and landslides have occurred in many areas. According to preliminary statistics, 57 people were killed and 43 were missing as of August 10. Some 255,000 Chinese-made steel-belted radial tires have been recalled by Foreign Tire Sales Inc. of New Jersey, according to a company statement released Thursday morning. The Union, N.J.-based tire distributor said the tires were defective because they “lacked a safety feature called a gum strip” or contained gum strips that were not large enough. The announcement comes three months after the company informed the National Highway Traffic Safety Administration of concerns it had over as many as 450,000 tires it had purchased from tire maker Hangzhou Zhongce Rubber Co. Ltd. in China. An initial inspection of a sampling of those tires found problems with the gum strips. The tires being recalled today were sold from early 2004 to mid-2006 as replacement tires for SUVs, pickup trucks and vans under the brand names Westlake, Compass and YKS. The sizes that were affected include the following: LT235/75R-15; LT235/85R-16; LT245/75R-16; LT265/75R-16 and LT31X10.5 R-15. This is a similar problem that led to the nation’s largest tire recall in 2000, involving Bridgestone and Firestone-brand products. On Aug. 9, 2000, Bridgestone/Firestone, which is based in Nashville, Tenn., and is a unit of Japan-based Bridgestone Corp., recalled 6.5 million Firestone tires. The tires, which were mostly on Ford Explorers, were blamed for causing 148 deaths and more than 500 injuries in the United States, at the time. Officials at the N.J. company said they became concerned about Hangzhou tires in October 2005 amid an increase in warranty claims and began talks with the Chinese company, and then commissioned its own tests. Foreign Tire Sales was sued in Philadelphia on May 4 by the families of two men killed when a van they were riding in crashed last year. 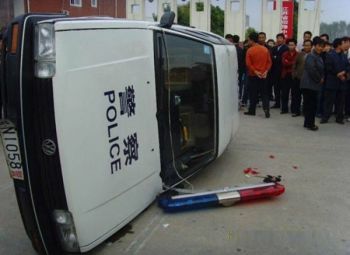 Also suing are the driver and passenger in the van, which the lawsuits claim had Hangzhou tires. On May 31, Foreign Tire Sales sued Hangzhou in U.S. District Court in Newark, charging that its tests found that the tires may fail earlier than those originally provided by Hangzhou, and that a recall would put the U.S. company of business. The lawsuit seeks unspecified monetary damages and an injunction that would bar Hangzhou products from being imported. Foreign Tire Sales officials recommend that drivers check the sidewall of their tires for the brand size, model and Department of Transportation number. For a complete listing of the affected tires and their model numbers, go to http://www.foreigntire.com or call 888-899-9293.